When you want to let your blouse do the talking. 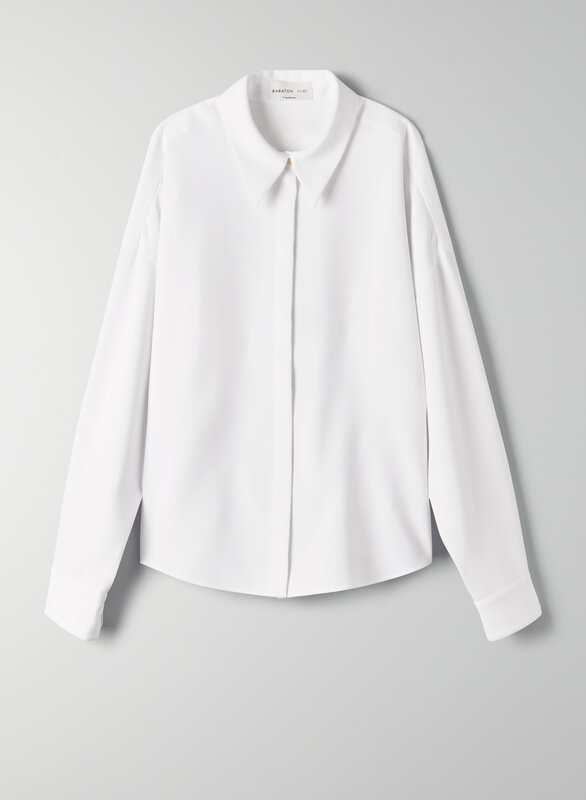 This blouse has an exaggerated cocoon shoulder, voluminous sleeve, and shaped waist. It's made with a fluid, drapey fabric.